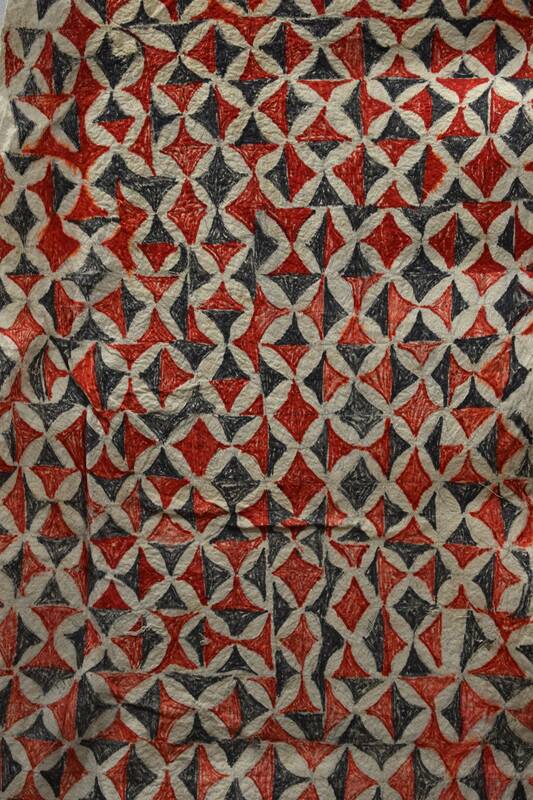 This fabulous piece of Bark Cloth and the patterns are extraordinary. The Bark Cloth comes from the Baining People that live on the Northeastern tip off New Britain in the country of Papua New Guinea. They are confined to the Gazelle Peninsula in a mountainous tropical forest. The Baining are unusual among Melanesian cultures in that they create "perishable" art forms in bark cloth, wood, and leaves, which are used only once for a single day or nighttime ceremony, then discarded or destroyed. This artistic tradition serves to articulate, in visible form, the entire sphere of existence of the Baining people. Leaves, bark cloth, bamboo, strips of wood are the primary raw materials of the Baining artist. Bark cloth is stretched and sewn over thin bamboo and wooden armatures. Large leaves are used as filler material. 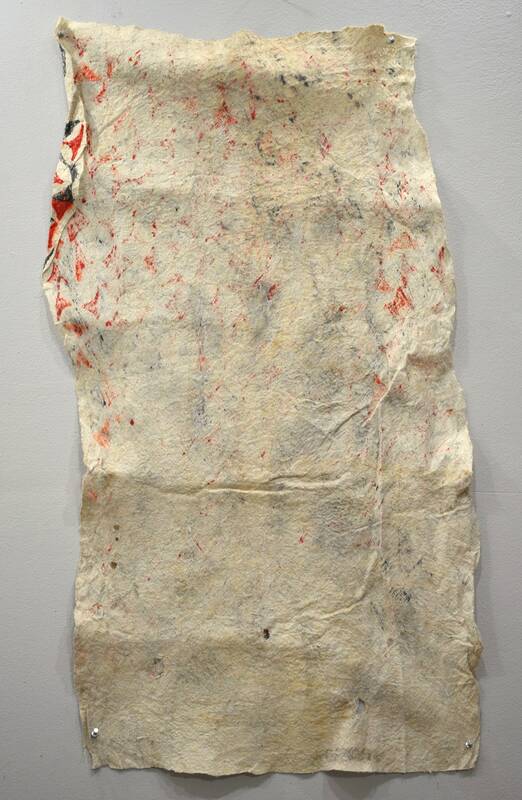 The resulting cloth is soaked in a local stream, then laid out flattened on stone stones, and bleached by the sun. 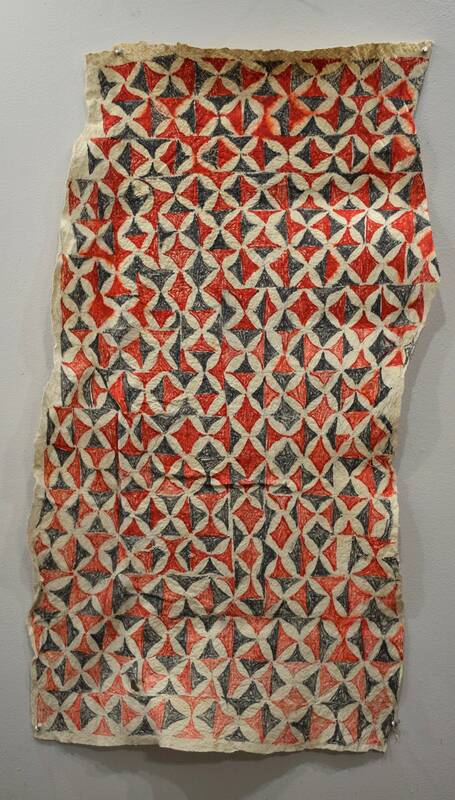 After the bark cloth has been cut and sewn over the leaves and the armatures, it is painted with pigments. This would be a wonderful item to add to your collection or home. Shows some age, torn a Bit, but overall in good condition.